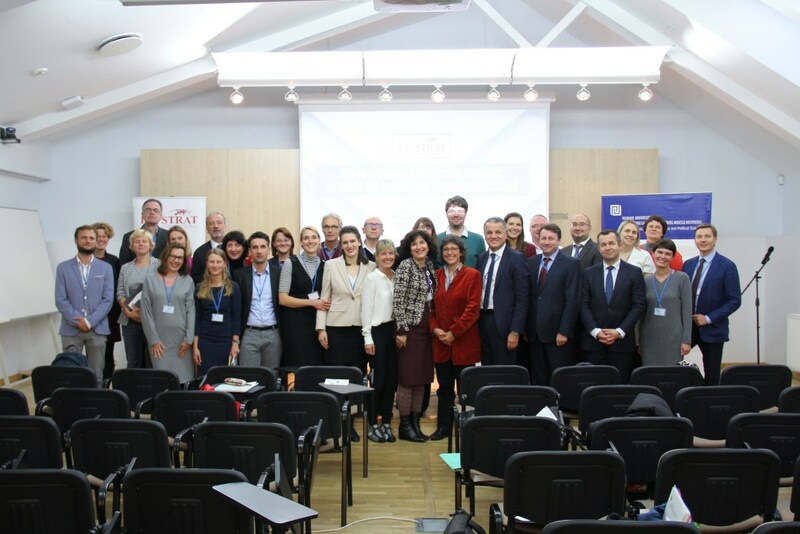 EU-STRAT’s midterm conference entitled “The EU and Eastern Partnership Countries: An Inside-Out Analysis and Strategic Assessment” took place in Vilnius from October 5 to October 6, 2017. The midterm conference was dedicated to presenting EU-STRAT’s intermediary research findings related to varieties of social orders in Eastern Partnership (EaP) countries, interdependencies with and soft power by the EU and Russia, and featured insights and debates on the future of the EaP. Bringing together participants from the EU and EaP countries, as well as third countries, the project team aimed to raise awareness of EU-STRAT’s research agenda, which is highly relevant to the region’s current political situation. Vassilis Maragos, Head of Unit at the European Commission’s Directorate-General for Neighbourhood and Enlargement Negotiations (DG NEAR). The welcoming addresses and keynote speeches began the two-day conference, which included six panel discussions on different topics of EU-STRAT research as well as a round table on the future of the EaP. If you would like to know more about the conference and read about the keypoints of all the discussions which took place during the event please take a look at: the report summarizing the EU-STRAT’s midterm conference and its findings.